I some times wonder if I am the only one in Hong Kong that has fallen for the Real Estate promotional technique of showing empty apartments. That is no furniture and no cupboards. I remember my first viewing in Hong Kong ( a little while ago now). Walking into a ~800 Sq ft apartment and thinking "WOW - There is a lot more room than I would have thought". It wasn't until an associate nudged me with the wise words - "Have you noticed that there are no cupboards and no storage of any kind in this place!" Well that made me wake up - and now every apartment viewing has me trying to visualize what storage I will need to actually make the place livable and functional. With that we turn to one of my favorite easy, simple and cheap storage solutions. 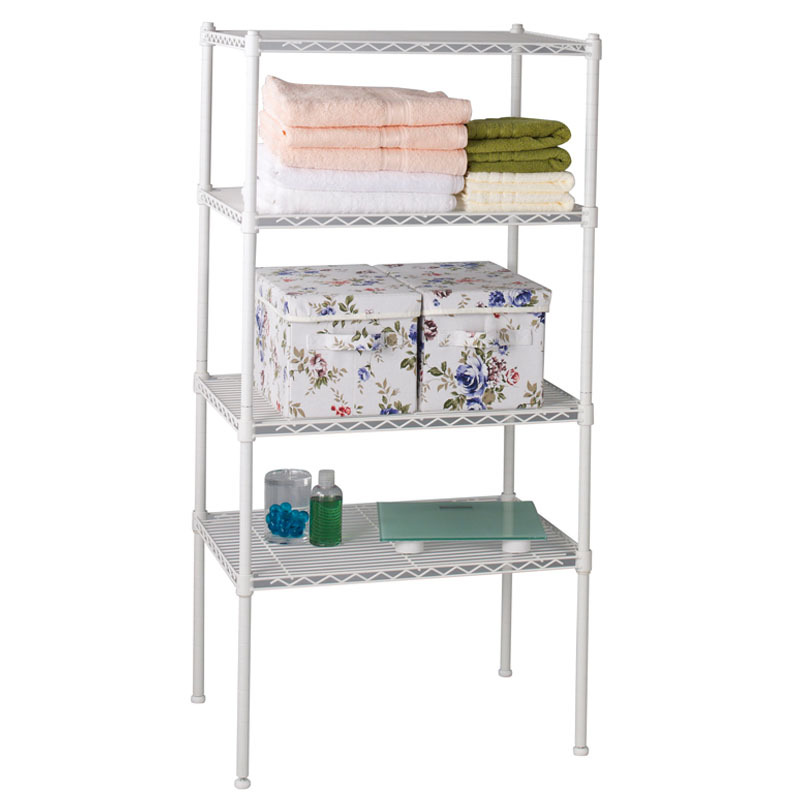 The Metal Mesh Modular Storage unit. The price is great. 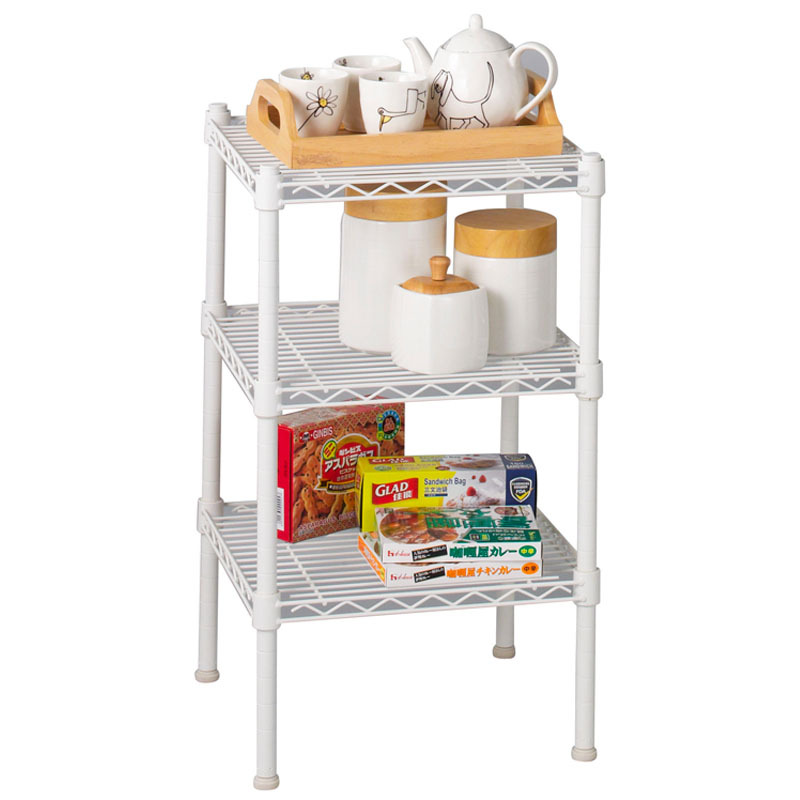 You can get a 3 Shelve unit (small) starting at HK$159.00. So it shouldn't break the bank for anybody. The flexibility to add shelves, make use of longer all shorter "legs" makes this quite a flexible solution. Being sold by Price Rite, with some solutions from IKEA, these products are easily found. How they can be used. We have some ideas listed below, but we love the versatility and functional side of these products. Lets face it - they are pretty ugly. On the "functional" scale they score an AWESOME. On the "I want to impress my friends" scale - its definitely a FAIL. Place one of these against an empty wall in the bathroom or the kitchen, and make use of it as a Laundry Supply storage unit. A Cheap solution for making a functional printer stand. Get the added benefit of being able to store additional items on the extra shelf's. A Personal Favourite. Get the micro mesh shelf's from IKEA and put them inside your existing cupboards, giving you extra stacking space. But - if still available - get the silver solution - the white just doesn't look as good. We would love to hear your ideas or solution's for using the Mesh Storage solutions.